One of the great things about Star Wars is that it inspires endless debates and opinions on a wide array of topics. Best bounty hunter? Most powerful Jedi? Does Salacious Crumb have the best haircut in the saga? In that spirit, StarWars.com presents From a Certain Point of View: a series of point-counterpoints on some of the biggest — and most fun — Star Wars issues. 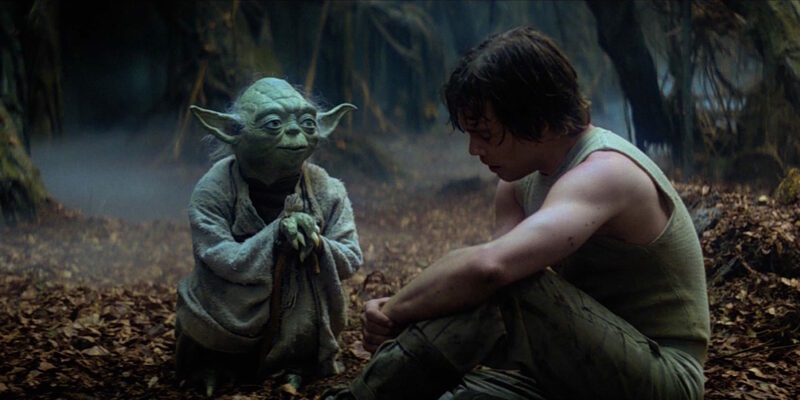 In this installment, two StarWars.com writers discuss which line from the films resonates the most. “Never tell me the odds,” said by Han Solo in The Empire Strikes Back, is the best Star Wars quote, says Amy. Han Solo is a man defined by his actions. 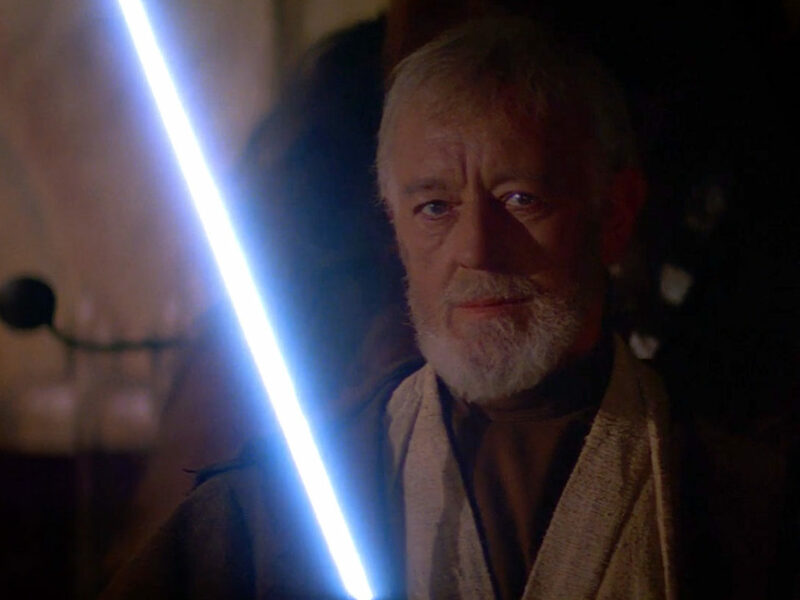 When we first met him in A New Hope, he became entangled with Obi-Wan and Luke because he was hired for a job. It wasn’t spelled out, but when Obi-Wan offered Han and Chewbacca a pile of credits, you could see Han thinking, “I tote this old man and kid around, I get overpaid for transporting them, I pay off my debts to Jabba, I live the good life.” If it was a cartoon, his eyes would have turned into spinning slots that landed on dollar signs. But as they flew into the broken remains of Alderaan and Han saw a Sith Lord dressed head-to-toe in black fight an old Jedi with laser swords, things started to shift. He met the Rebel Alliance forces on Yavin 4, and though the pull of credits still yanked him away, he realized the stakes and the danger to his new friends and returned to aid their attack against the Empire. It’s not a bad attitude to adopt in everyday life, and it’s certainly key to the themes of destiny in Star Wars and how the Force works. When Luke was zooming down the trench run trying to take out the Death Star, he looked to his computer first. He turned to numbers and measurements. What ultimately saved the day and the battle was Luke letting go and putting his trust in the Force. Just like Han rejected C-3PO’s precise calculations about their odds of surviving navigation through an asteroid field, Luke rejected the data and technology and trusted his gut. More personally, I consider the amount of time and effort I waste giving into the beast named Worry. I think about every outcome of a decision and agonize over any possible negative effect. While I don’t want to discount the value of a solid plan, some of the best decisions I’ve made have been based on nothing more than instinct. Not learning the odds can pan out, and for better or worse, can make you more fearless. 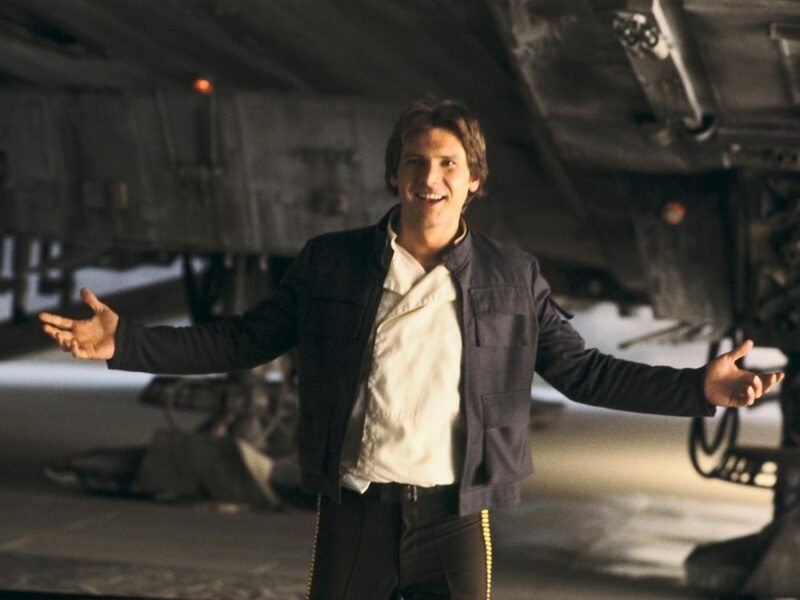 “Never tell me the odds” says volumes about Han’s character and the way he moves through life. His confidence drives him to take risks and to be bold. And like the Rebels, once he’s told the odds, he doesn’t care if they’re are against him. The Empire appeared to be an invincible foe, but the Rebel Alliance fought back anyway. Most of us could stand an infusion of Han’s philosophy. “Your focus determines your reality,” said by Qui-Gon Jinn in The Phantom Menace, is the best Star Wars quote, says Justin. 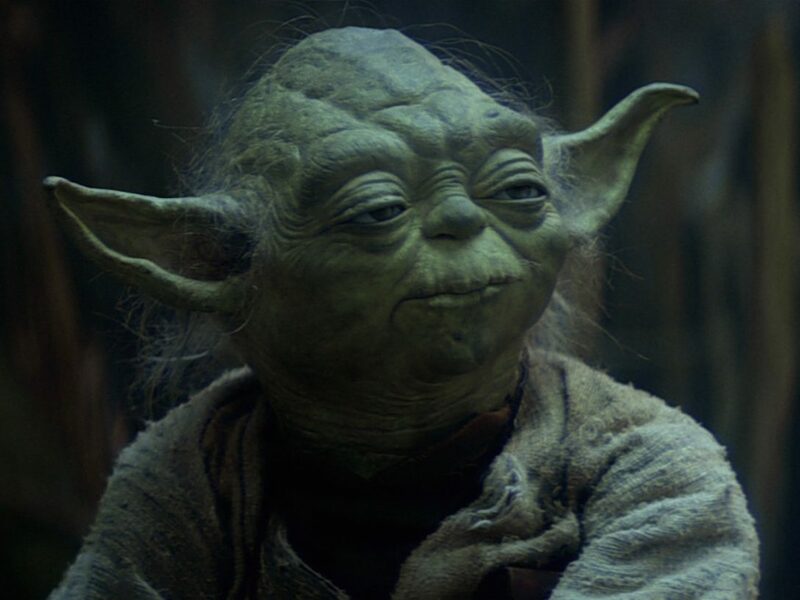 Having to choose the best quote from the overwhelming number of wise words and profound truths seeded throughout the saga’s films, television series, books, and video games is impossible (even for a computer). So keeping in mind the wisdom of Obi-Wan Kenobi, “Many of the truths we cling to depend greatly on our own point of view.” I won’t name the best. I’ll simply share my personal favorite. You will never find a more powerful or empowering idea in or out of the Star Wars saga. Simple, straightforward, and strong, Qui-Gon’s words to Anakin aren’t just a piece of advice. They’re an affirmation that your life is what you choose to make of it. That regardless of your circumstances, you have the power to be what you want to be, do what you want to do, and live how you want to live. They apply to Anakin Skywalker, whose focus on holding on to his wife at all costs eventually cost him her life…and his soul. They apply to Luke Skywalker, whose focus on reaching the good buried deep within his father led to the redemption of Darth Vader…and brought the Force into balance. They apply to Rey, whose focus on waiting for her family kept her on Jakku for years, in spite of a longing to leave that barren desert world behind. And most importantly of all, as the best Star Wars quotes so often do, Qui-Gon’s words apply to us as well. How many times throughout a given day do we feel not completely satisfied with where we are, or what we’re doing? How many times have we looked away to an uncertain future and wondered, passively, what was going to happen to us? Or where we will be in a year while wishing we were somewhere else? Qui-Gon’s words wisely and non-judgmentally put the responsibility for finding those answers on us. If we’re in a situation that doesn’t make us happy, we’re empowered to create our own happiness simply by focusing our efforts on finding something that brings us fulfillment. It’s usually not easy or without some measure of hardship, especially quieting the self-doubt that pervades most of our minds, but in the end there is no greater feeling of achievement than reaching your goals. And in those instances, we’re wrong. We have that power, too. What do you think? Did Amy and Justin both get it wrong? What’s your pick for best quote? Let us know in the comments below! 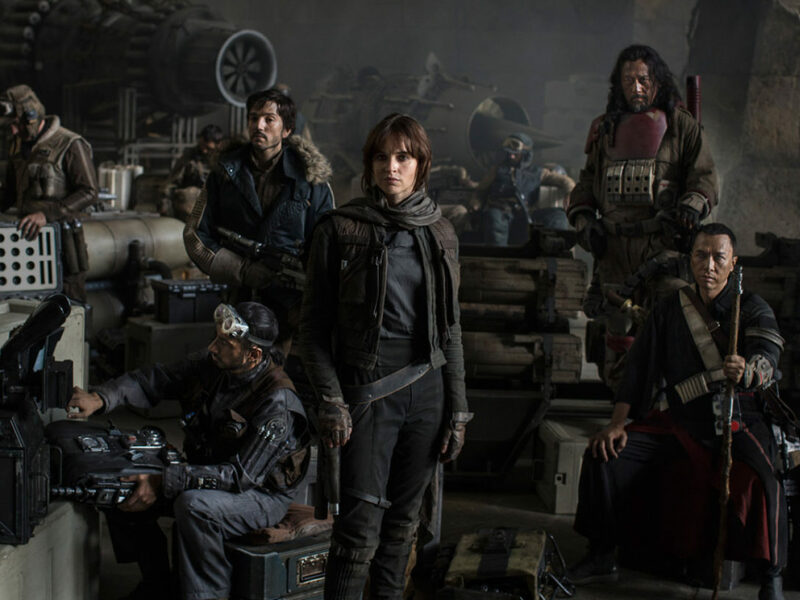 Justin Bolger is Lucasfilm’s Star Wars social media strategist and he doesn’t like the Empire…he loves it. Catch him occasionally on The Star Wars After Show and talk Star Wars with him on Twitter @TheApexFan.